NBA preseason games are not fun to watch, but when they give you the opportunity to see a singular talent whose appearances on the court are far too scarce, then it’s time to tune in. 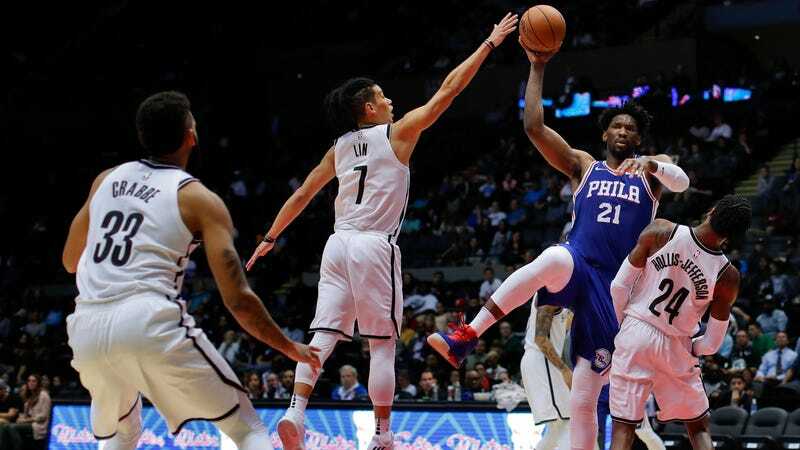 The 76ers’ Joel Embiid, ostensibly somewhat healthy, lent his game some value tonight when he hit the court for the first time since January. Obviously, it’s preseason, but Embiid did it all in his limited game action. He got that block above, he dished out passes over his opponents, he hit free throws (14 to be exact), he scored inside with late-season intensity, and he hit an after-the-whistle shot from Steph Curry range. But overall, this dude played like a next-generation Swiss Army knife. Yes, it was preseason, and double yes, it was against the Nets, but an unlimited, full-strength Joel Embiid is pretty dang close to a flawless basketball player. 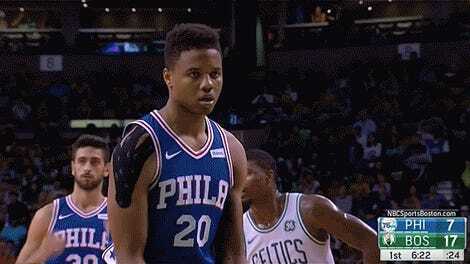 What The Hell Is Going On With Markelle Fultz&apos;s Free Throws?